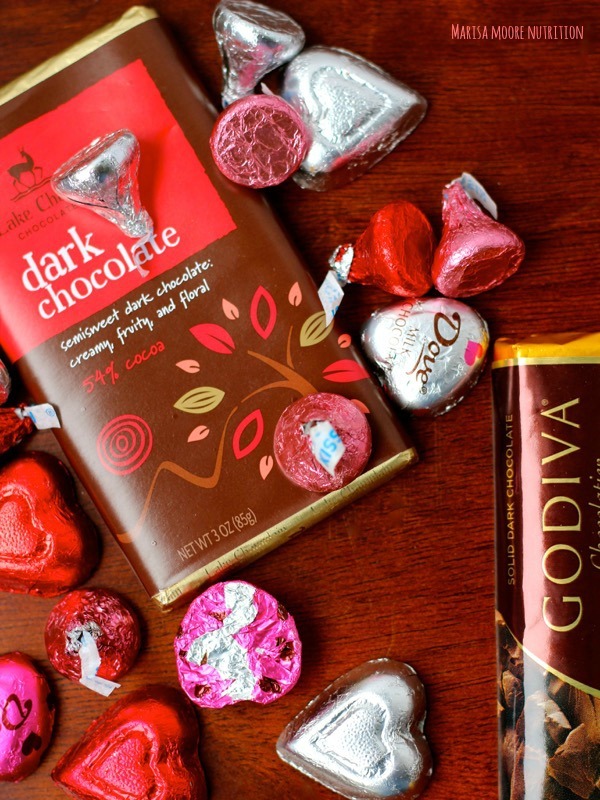 Looking for ways to use your leftover Valentine’s Day candy? This warm chocolate peanut butter dip may be the solution. I collected a bunch of chocolate this month. Luckily this month’s recipe redux theme is all about chocolate pairings. Though it’s never really been my thing, it seems that everyone loves chocolate. When I say I don’t like it, people find it odd. Some look at me as if I’ve suddenly sprouted a second head. I thought I’d sworn it off forever but last year during a tasting featuring Lake Champlain Chocolates in Vermont, I gained an appreciation for the cocoa intense confection that I never thought possible. Though I’m not first in line for the rocky road ice cream or devil’s food cake, I’ve always appreciated the classic chocolate and peanut butter combination. 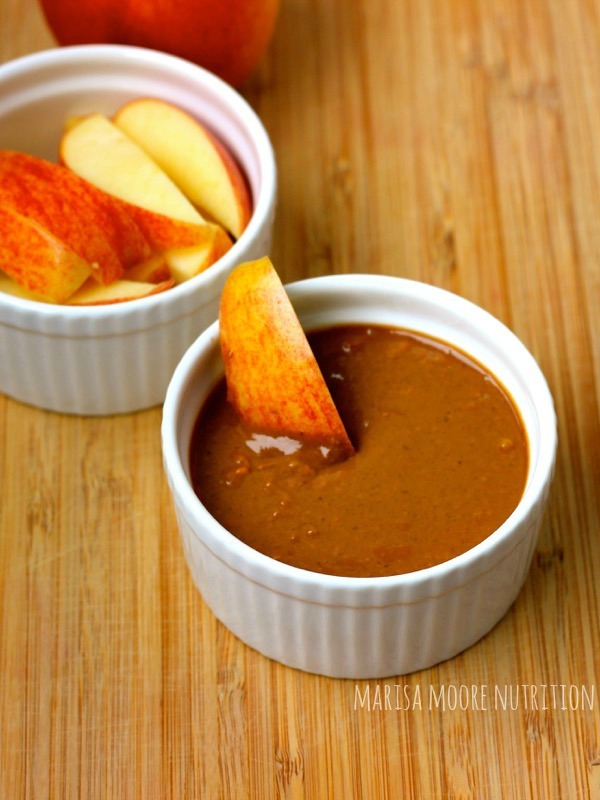 About this recipe, if you can even call it that… Surely you’ve tried apples and peanut butter but have you ever tried apples dipped in warm peanut butter? It’s quite the satisfying snack. 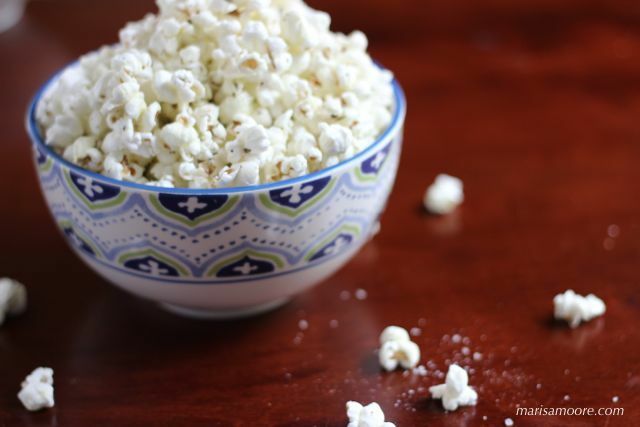 I’ll probably stick to that but I wanted to play along with this month’s recipe redux theme. So this Warm Chocolate Peanut Butter Dip is a riff on one of my favorite snacks. 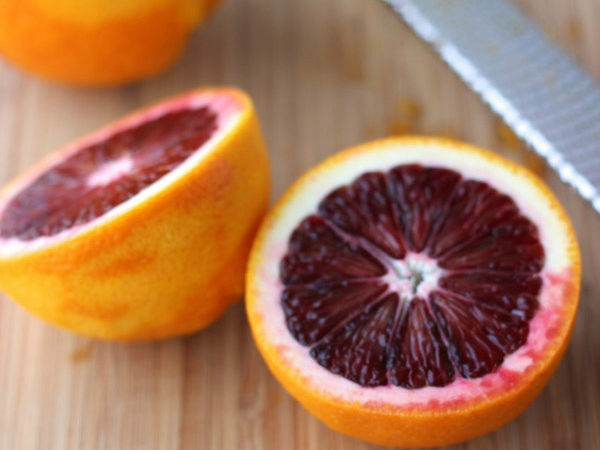 This easy recipe takes it to a new level – a bit more indulgent but not over the top. I used chunky natural peanut butter because it’s what I had in the fridge. Nothing fancy or full of sugar – just peanuts and salt. Dark chocolate adds a deep complex flavor to the dip. I paired the dip with apples but bananas or pretzels would also be good. In a small saucepan, whisk the peanut butter and chocolate together over low heat just until the chocolate melts. Remove the mixture from the heat. Stir in the vanilla and cinnamon. Serve warm with slices of apple, banana or pretzels for dipping. Click the button below to see how other Recipe Reduxers used up their Valentine’s Day candy this month.